Roderick asks: I will be moving this week to Trinity Western University in Langley, British Columbia. I will be preparing to work with Wycliffe Bible Translators and also taking courses online with Wesley Biblical Seminary. The master’s degree in linguistics at TWU will take two to three years to complete. I would appreciate the prayers of those who have a heart for missions. Imagine what it must be like to live in a culture with no Biblie translated into your heart language. Sue asks: Prayer request for healing for my son Troy, 34, Lafayette, La. who has an inflamed esophagus, but also high pancreas levels. They will do a CT scan and also check his gallbladder and do a biopsy on his esophagus tissue. Please continue. I am very grateful! Barry asks: Prayer for breakthrough and breaking of strongholds Please pray for an intercessor named Jimmy who has been struggling with personal strongholds for years. Our church is praying for a breakthrough for him. Charles Hewitt asks: Pray for me as I seek a prison ministry position that is M-F so that I can spend time with family and church on weekends. It must be either in Harris or Montgomery County. Thanks very for your prayers. Samson Joseph wrote: I am lawyer in Pakistan truth help line is working for persecuted Christians provided free legal aid to the forcibly conversion and marriage. Thank u for prayers. Imogene Johnson asks: Please say a prayer for me…i need a breakthrough ASAP James 5:12 tells us if anyone is sick with any condition to call the Elders of your church and let them pray and anoint you with oil in the name of the Lord. The prayer must be filled with faith and the Lord will heal the sick and raise them up. The effective fervent prayer of the righteous avails much. Amen!!!! Pray for the ongoing construction of the new church. God has seen fit to fill our calendar with volunteer teams this summer. Please keep all them in prayer for safety and efficiency. Pray for finances to complete the project. Employment for; Robert O., Iva F., Jessica R., Mike T. and Tom D. seeking fulltime work. Please keep our ministry and the folks that we come in contact with in your prayers. We have a number of people who are struggling with health issues, family issues and grief from loss of loved ones. Also, we ask for prayer for those souls who are considering what path they are going to put their trust in, the wide or the narrow. Yesterday, i saw the foundation of the buildings being eaten away, I got so scared, the walls might begin to fall, some already show cracks. Pray we can have funds to do the Verandah and Splash Aprons to save the foundations. God bless you. “The good news is he has found the Lord. The bad news is I have a six year old grandson and his mother who has mental illness. I feel pretty powerless and truly I am. Jesus is the only one who can make good come out of this mess. Prison Fellowship’s Prayer Team offers volunteers the opportunity to take the needs of prisoners before God during regularly scheduled intervals. To learn more about the prayer team, and how you can participate, click here. 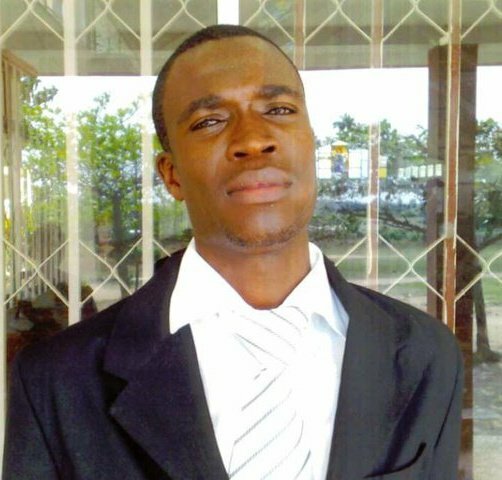 Anthony Kwadwo Okyere an Ambassador of Lord Jesus, evangelist in Tema Ghana, who has been going through many many difficulties. He and his family are in need of financial support and prayer as they have been under spiritual attack. We thank you for your prayers for Berean Baptist Church in Ceres, CA. 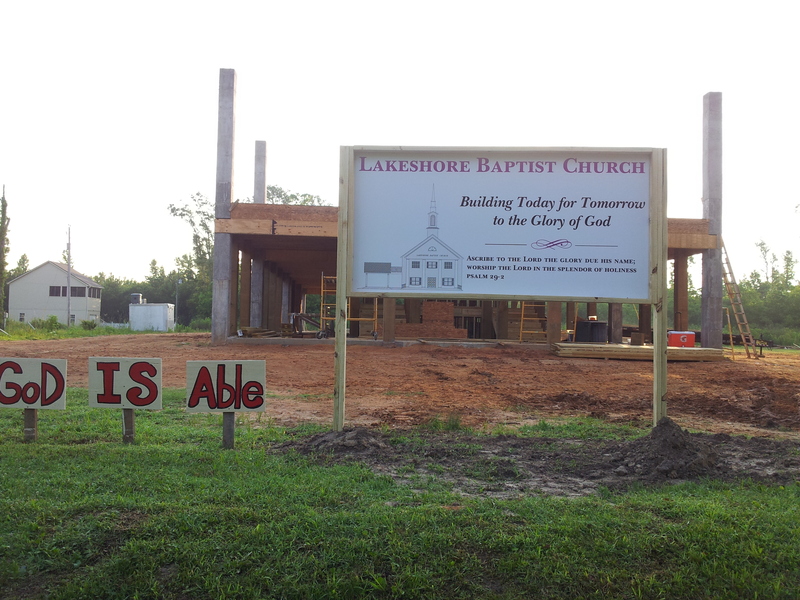 We are excited about what the Lord is doing in our midst, and in our community. While we are still a small congregation, we have become increasingly aware of the Holy Spirit’s work in the church. This upcoming Lord’s Day (June 9th), two men will be ordained to the office of deacon, which is the first time in a few years since Berean has had deacons. On the same Lord’s Day three individuals will be baptised. One of these men was brought by one of our members several months ago. Another is a young man in church whose parents are members at Berean. The third is a young lady who our pastor works with, and has forsaken Sikhism, and turned to Christ. We have been making more concentrated efforts to reach our community. Last month we held a table at a local street fair, and distributed Gospel literature, and spoke with many folks. Next month, we will have a table at our county fair, and do the same. There are thousands expected to attend this event. Pray that these may be an effective way to proclaim God’s truth. We’re also considering ways in which we may have permanent ministries to the needy in our area. This is a challenge for us, as our pastor works full time, as do all our members. To that end, we would also like to see at least one more pastor/elder at Berean in the near future. We praise the Lord for your brotherly love, and prayers in Christ! We are a church plant sponsored by the Heritage Baptist Church (HBC), Mansfield, Texas, and the Sovereign Grace Baptist Church (SGBC), Ontario, California. The elders of these two churches provide oversight to the work at Emmanuel. Steve Garrick, from HBC, and Bob Curley, from SGBC, were commissioned as church planters. After advertising heavily in the greater Austin area, from March through June 2012, we conducted informational meetings at the end of June. On July 8, 2012, we met for our first worship service. We began meeting in the Georgetown Public Library, and we have enjoyed a wonderful relationship with the library staff. We have just recently made arrangements to continue in the library for another year. Initially, we had only a worship service on Sunday mornings, but we added a Christian Education Hour in September. Chuck and Cindy Cason, as well as Anita and Catherine Baines, have travelled from Mansfield to Georgetown (about a 3 hr. trip one way) every Lord’s Day to help with this church plant. Chuck leads the singing. Cindy helps with set up and greeting. Anita plays piano. Catherine has served as the mainstay of our nursery. All of them have provided invaluable service to the Lord in this good work of church planting. One of the men, who has attended almost from the beginning of our services, is a talented musician and vocalist and will begin playing the piano and leading the singing soon. This will allow these four people to return to the fellowship of HBC. We will miss them immensely. During the past year, Steve Garrick preached on several aspects of the doctrine of the church, including messages on church leadership and government. During November and December, Bob Curley preached a series of messages on the Lord’s Day. Steve Garrick presented an overview of the 1689 London Baptist Confession during the Education Hour, and recently he has begun a study of Earl Blackburn’s book, Jesus Loves the Church and so Should You. In March 2013, we presented a draft of the future bylaws and church covenant during our Education Hour, and the people attending had opportunity to discuss these documents, ask questions, and make suggestions. In April 2013, we began accepting applications for membership and conducting interviews of membership candidates. We have been blessed with a number of mature churchmen and churchwomen, who have been Christians for decades and have faithfully served churches of which they have been members. At least two of the applicants will require baptism. We will constitute as a church, vote on the bylaws, and elect elders in a special service on Saturday, July 20, 2013. We will constitute with about 25 adult members, plus three children. Most recently, Steve Garrick began preaching through the book of Romans. Every message is full of the Gospel and the marvelous wisdom and grace of God in salvation. We are so very thankful to all of you who have been praying for us and for this church plant. The Lord continues to answer your prayers. Please continue to pray for us. We specifically ask that you pray for health and strength for both Steve and Bob. Also, pray for the transition that Steve and his wife, Randie, will be making soon. They are selling their house near Mansfield and building a house near Georgetown. Most importantly, pray that the Lord will save people, add to the church, and continue to give us a foundation of unity, peace, and love upon which to build His church. We have continued to meet Lord’s Day after Lord’s Day, morning and evening. Our evening services are comprised of corporate prayer, singing, preaching, and the Lord’s Supper. After finishing a series on the Lord’s Supper last year, then a series on creation, the pulpit ministry has concentrated on a series of sermons on an overview of the New Testament, then several sermons on the parable of Luke 15. With the help of Benjamin Keach, Kenneth Bailey, and others on Luke 15, we were constantly reminded of our Savior’s mission to seek and to save the lost! We have had a few visiting preachers since we last wrote – Pastors Jim Butler, Steve Marquedant, Lee McKinnon, Jeff Massey, and Kenneth Tillman. Earlier this year Pastor Barcellos spoke several times at Pastor Tillman’s church, Greater Union Baptist Church, Compton, CA, once on the Lord’s Day morning, and twelve Friday night sessions over a six-week period on the functions of the Decalogue in redemptive history. Pastor Barcellos is scheduled to speak at the Building Tomorrow’s Church Conference in Arizona and at Edward’s Air Force Base, Edwards, CA, on creation in June and at the Keach Conference in Virginia in September. Please pray for these opportunities. We see visitors from time to time. Please pray for more to come and for the Lord to save sinners. Since our last report to the churches, we have added three new members, bringing our membership to 20. In February a dear friend of many of our members went to be with Christ. He was 49 and left behind a wife and five children. Also, a visitor has cancer. She is a wife and mother of three. Please pray for both families. We pray for other churches often and cherish the bonds that are ours in Christ. I would appreciate prayer; I am seeking a meeting place for the church I am starting. Thank you and God bless.